Acquired direct from the artist by the present owner. 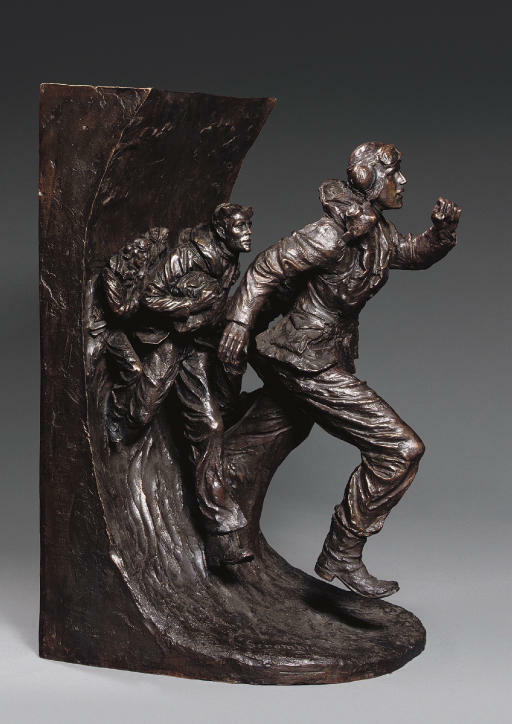 The Battle of Britain memorial monument was unveiled by The Prince of Wales and the Duchess of Cornwall in September 2005, on the Victoria Embankment near Parliament. The present work is Day's maquette for the central section, the pivotal figurative panel of the finished monument. In December 2004 Her Majesty the Queen was presented with another cast of the maquette for Scramble, which was then displayed at Buckingham Palace. Scramble is a key image from the battle; the moment when the signal was given to scramble the aircraft and take to the skies.